Rogue Fitness has dominated the gym equipment market since its inception just over a decade ago. Manufactured in Toledo, Ohio, Rogue makes everything from bars and plates to racks and specialty Crossfit equipment. What was once an early foray into dropshipping – selling equipment made by other manufacturers through one website – became a self-contained business when the Rogue team figured out it would be easier to make the product themselves than deal with various manufacturing schedules and managing customer expectations. Thus, Rogue, as we know it today, was born. As Rogue was fortunate enough to catch the Crossfit wave at the start of its lifespan, they had to be innovative enough to appeal to their target market, which largely consists of women. While there is no scientific reason why women can’t perform the same exercise programs as men when it comes to heavy lifting, there is a significant disadvantage: hand size. The Bella offers a solution to this problem with a thinner bar. The Rogue Bella Bar weighs 15kg (33lbs) as opposed to the standard bar weight of 20kg that you see with power bars and other multi-purpose offerings. The main difference is the bar’s 25-millimeter diameter. The 4-millimeter difference between the Bella and standard bars makes a significant difference in grip and feel. 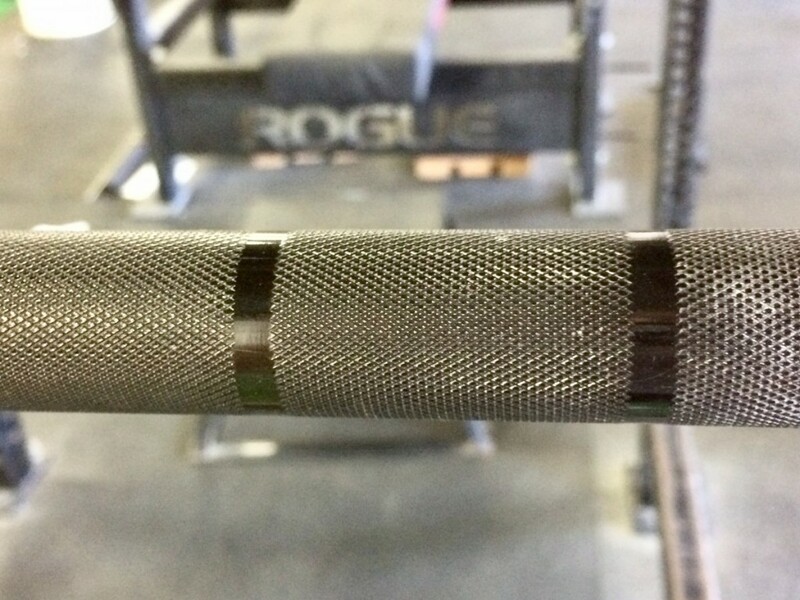 The Bella Bar has side knurling with dual knurl marks on each side. It does not have center knurling, which makes it ideal for front squats but challenging for the back. The sleeve is 13 inches long and finished with zinc for a shiny, smooth surface that makes bar loading and unloading a breeze. The bar itself is steel, coming with a zinc coating in a variety of colors. Newer bar options include a Cerakote finish, using a polymer-ceramic coating meant to increase the durability and decrease the oxidation rate of the barbell while offering more color customization. The bar is meant to offer a fair amount of flexibility and whip to assist with complex overhead movements often witnessed in Olympic weightlifting and Crossfit. 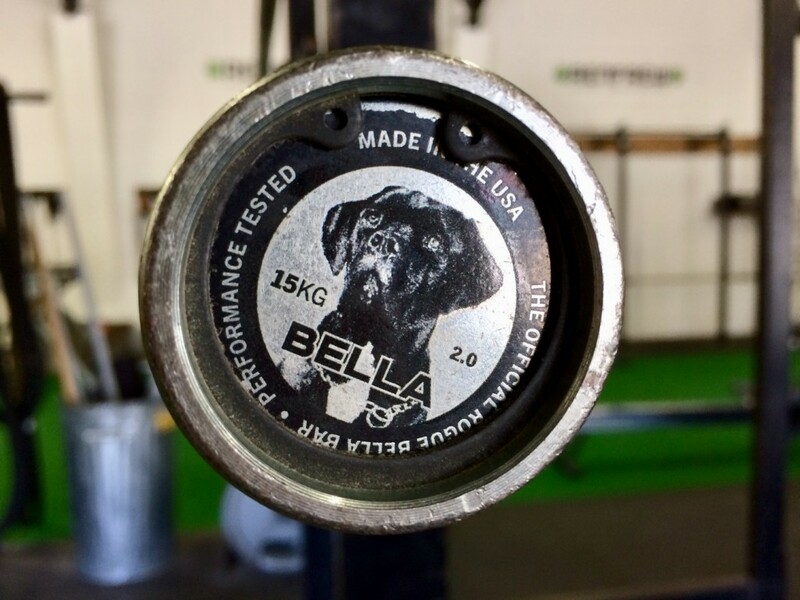 The Bella has bushings, 190,000 PSI tensile strength, and is largely recognizable by the cap image of a dog with the name “BELLA” stamped across. 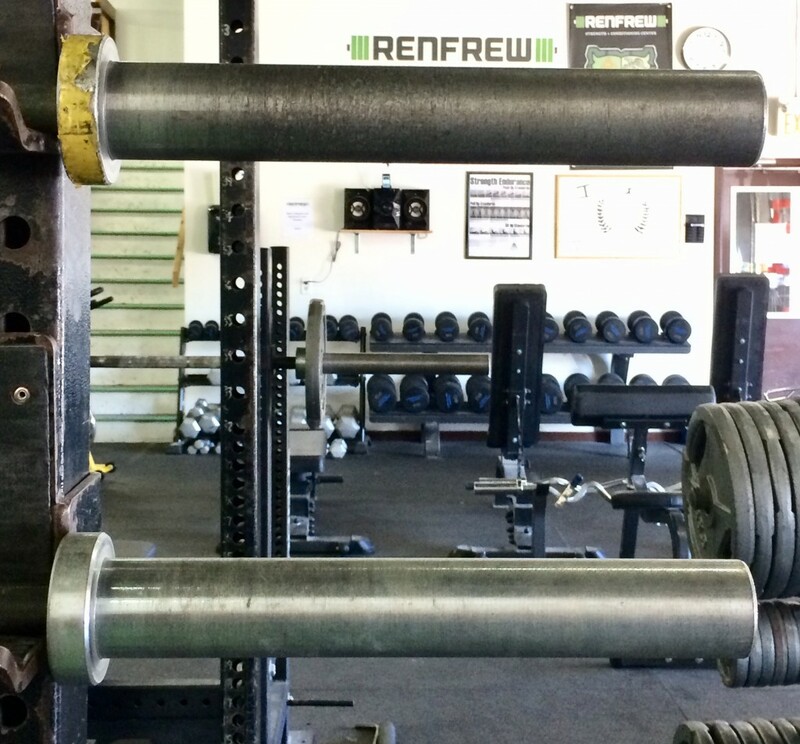 Fortunately, at Renfrew Strength and Conditioning Center, we have a few Bella Bars that have been gracing the hands of competitive Olympic lifters for years, as well as a newer model that was manufactured less than five years ago. The older models predated the introduction of the zinc treatment, presenting bare steel instead. Rogue uses the F-Scale to determine its resistance to corrosion and oxidation. The newer, zinc treated model is treated as an F6-R, with the maximum resistance being an F8. The “R” indicates that the bar has received Rogue Work Hardening treatment on top of the zinc. The bare steel bars have a rating of F1. It’s worth noting that even the newer bars, treated with Cerakote and having an F6 rating, are still prone to rust and oxidation after extended metal-on-metal contact. Prolonged use of these bars in a rack can cause corrosion around the grip. Many would argue that using a smaller bar isn’t necessary. In some cases, this is true. When you’re doing basic resistance training bar thickness plays little into your overall success. As a powerlifter, you’ll be required to use the same size bar as everyone else in a competition, so training with a smaller bar could do more harm than good. While the grip is nice for a deadlift, the smaller distribution of weight during a squat can be uncomfortable. It’s also worth noting that Bella bars aren’t designed for powerlifting movements, based on the flexibility and rotation of the bar. While it might be a great tool for women who are just starting with heavy lifting movements as they get more comfortable holding a barbell, one could argue that getting someone used to a powerlifting bar from the beginning could be better in the long run. For complex overhead movements, as seen in Olympic weightlifting and Crossfit– which bases many of their workouts around Olympic lifting– the smaller bar can make a significant impact. To safely complete these movements, many athletes use the hook-grip, in which their thumbs are held between the bar and their fingers, creating a lock around the bar as it’s propelled upward. Women with small hands often struggle to get a solid hook-grip on the larger bar. The bar also rests easier in smaller hands, for overhead presses and overhead squats. 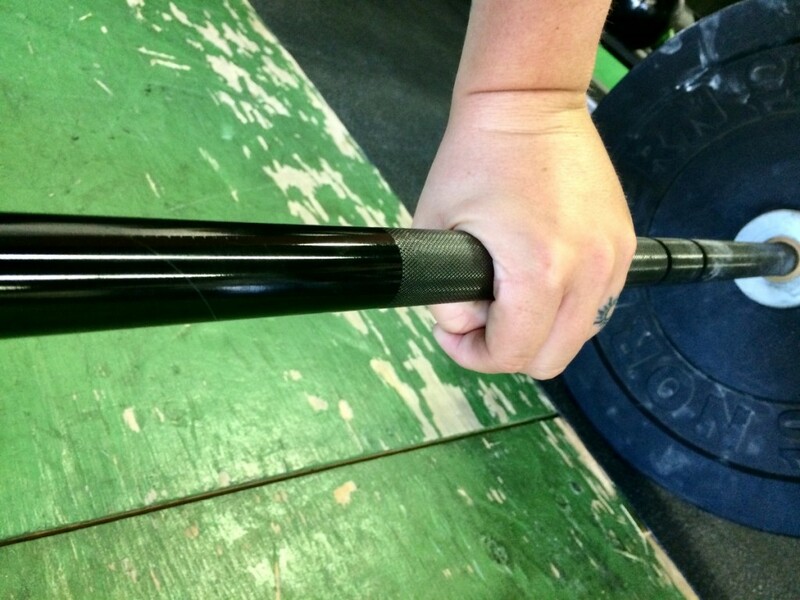 From personal experience as a female and competitive powerlifter who entered the world of picking up heavy things through Olympic weightlifting, this writer can attest to how much easier it is to grip a Bella Bar. While I’ll always prefer to use the Texas or Rogue Deadlift Bar, Texas Squat Bar, and Rogue Ohio Power Bar for my main lifts, I’ll still revert to the Bella Bar for accessory work like rows or strict pressing. My experience seems to be aligned with fellow female lifters, who are able to reach greater overhead weights while using the Bella Bar. Many small-handed lifters report the same findings, as they have a better sense of stability and confidence in their lift with the Bella Bar. Aside from the controversy surrounding the necessity of a “girl bar,” and the tendency to oxidize over time, the main con of the Bella bar is the use of bushings over bearings. As Olympic lifters know (and powerlifters may be surprised to discover if they use an Olympic bar), the bar is meant to spin separately from the sleeves during upward movements. Bushings are metal rings that fit between the sleeve and the bar to facilitate the spinning motion in a smooth manner. Bearings have the same effect, with different types of bearings and the amount used impacting the smoothness of the spin. Generally speaking, bearings tend to be better than bushings in terms of a smooth, friction-free spin. 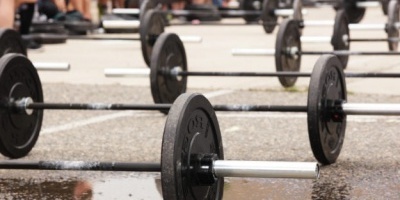 They’re also capable of creating less friction as the weight increases, which is integral for competitive lifters. That being said, they also come at a greater cost. Bushings are the more affordable alternative to bearings. 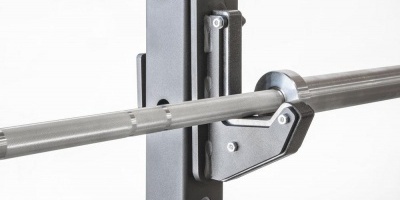 For general use in a gym setting or when purchasing a bar of your own, getting something with bushings rather than bearings won’t make a significant impact on your lifting experience. It’s recommended that you prioritize investing in high-quality plates (such as Eleiko plates) rather than a bearing bar, as you’ll barely notice a difference as the weight increases. To reduce the rate of oxidation and corrosion on your Bella Bar, you should perform regular maintenance, especially if you have a model lower on the F scale. Rogue offers bar maintenance kits at an affordable rate that includes a bar brush that is safe to use on bare steel, as well as multi-purpose oil. Take the time to brush off excess chalk from your bar, and oil regularly after doing so. In conjunction with keeping your bar off bare metal racks, this will improve the lifespan of your bar overall. 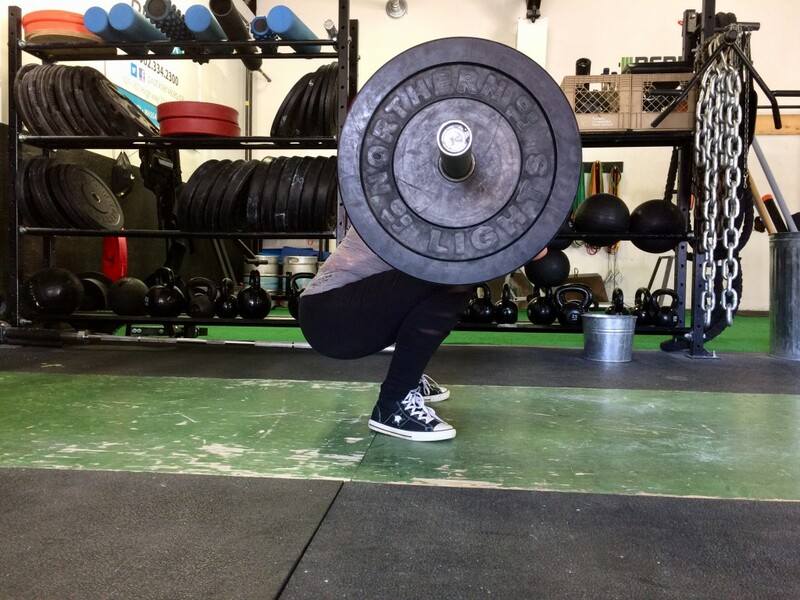 It’s rare to find a poor review of the Rogue Bella Bar, especially amongst female lifters. Rogue’s continued dedication to quality makes this particular female-oriented bar the top of the line, and a valuable asset to any gym’s bar selection. Editor’s Note: The Bella Barbell is available as the traditional zinc coated version or a ceramic Cerakote coated Bella Barbell as mentioned, including a popular pink Cerakote and purple Cerakote. Rogue is based in Columbus, Ohio, not Toledo. Thanks for the correction, Rusin! I’ll add a note to correct it. Actually on second look, I see Rogue was originally in Toledo and started building that big new facility in Columbus a couple years ago. I’m not sure when they moved though, or if they were in a smaller facility in Columbus prior to the current one.